Welcome to the world of Lacto-Fermentation! Yee-haw! Are you ready? This post is part 2 of my earlier post, "Up Your Nose With A Rubber Hose." Your digestive system is your body’s primary defense against sickness and disease. This is not only where your body absorbs its nutrients from your food, but it is also where your body produces the weapons to fight off disease. Therefore we need to be especially careful to eat foods that are easily digestible, that won’t kill the healthy gut flora but will help to replenish it instead. God designed our bodies and the world to work together to accomplish this naturally. Throughout time people have eaten fermented foods without knowing or understanding it because it was the only means of food preservation. Today, this concept is mostly foreign to us because we have had modern refrigeration to preserve our food for us. We have therefore lost the many health benefits of fermentation and are experiencing the negative results in our health, whether it is a frustrating chronic cough or sinus condition, or something bigger such as autism, mental illness, ADD, etc. Fermenting foods is simple and easy. It is also super cheap! 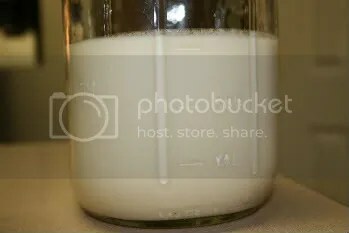 Fermentation typically involves the same general process: some type of culturing agent (whey, for example, or a special starter culture, or sometimes even salt), room temperature, and time. If you are culturing dairy products, all you do is mix the culturing agent with the dairy product, cover, and let sit on the counter for a day or so. 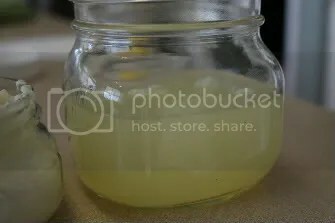 If you are fermenting vegetables, you will first chop the vegetables, and then add the culturing agent, cover, and let sit on the counter for a day or so. That is basically all there is to it. Crème Fraiche is probably the easiest cultured dairy product to make. All you need is one pint of good quality cream (raw cream is best, pasteurized is ok, but ultra-pasteurized is never ok), and one tablespoon of whole milk buttermilk. 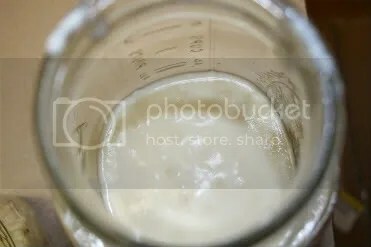 Pour the cream into a clean glass container, such as a canning jar, add the buttermilk, stir well, cover tightly and place in a warm spot for 20 to 24 hours. When the time is up, your cream will have thickened to the consistency of sour cream and will taste like it too. Keep it in the fridge and use it just like sour cream. 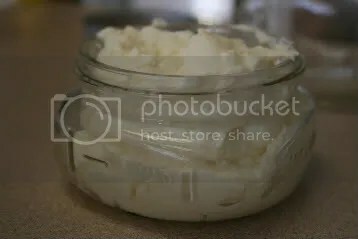 Crème Fraiche is a healthy food but it is not as loaded with healthful bacteria as other cultured dairy products. In Crème Fraiche, the buttermilk is your culturing agent. But in many lacto-fermented recipes whey is the culturing agent. Whey is the clear liquid that you typically find floating on top of yogurt and is incredibly easy to obtain. Just get a large carton of good quality plain whole milk yogurt (Seven Stars Farm, available at Whole Foods, is excellent). Set a strainer over a bowl. Line the strainer with a double layer of cheesecloth or a thin clean dishtowel. Pour in the yogurt, cover as best you can, and let it stand at room temperature for several hours (most of the day). 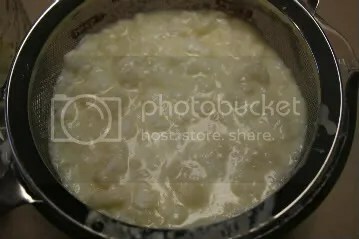 The whey is the clearish liquid that runs into the bowl. When the dripping slows, very gently tie up the towel (don’t squeeze!!!) and hang it on a wooden spoon set atop a pitcher so even more whey can drip out. When the bag finally stops dripping, you are done. The whey is in the pitcher/bowl. What you have left in the bag is a bonus – cream cheese! Put each into its own container, cover tightly, and refrigerate. The whey will keep for 6 months and the cream cheese for 1 month. Mix all ingredients and place in a quart-sized, wide-mouth mason jar. Press down lightly with a wooden pounder or a meat hammer, adding more water if necessary to cover the vegetables. The top of the vegetables should be at least 1 inch below the top of the jar. Cover tightly (very important – the metal canning lid really helps make the jar airtight) and keep at room temperature for about 2 days before transferring to the refrigerator. It is especially important to carefully follow the directions and make sure your hands, work area, and utensils are clean. You also need to use the freshest, best quality ingredients. When the time is up, your jar may make a popping sound when it is opened. This is normal. 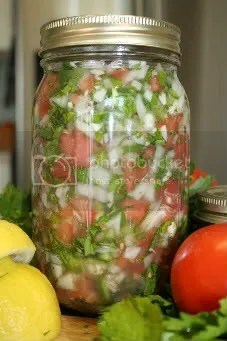 You may find that the salsa is a little bit effervescent, which is a sign that all of the right things have happened inside the jar. If it isn’t effervescent, that is ok, it is still good. In fact the only reasons not to eat the salsa would be mold on top or a putrid smell (there would be no doubt) both of which indicate there was some type of contamination during the chopping/mixing. The salsa will be extremely colorful and extremely fragrant. Use it to top anything – we love it on omelets. Lacto-fermented foods are a condiment that should be eaten in small amounts with every meal for optimum benefits. You might say that these foods are God’s probiotics. It seems that lately there has been a lot said in the media about probiotics. Yogurt companies are really competing to have the brand with the most probiotics. Ironically many of these yogurts are loaded with high fructose corn syrup and artificial sweeteners – no wonder they need probiotics in them! You can even buy probiotics in capsules to take like medicine. But this is not news. Lacto-fermented foods have an ancient history in all cultures. Cultured dairy products are easy to trace back to ancient times. That delicious yogurt-cucumber sauce at Greek restaurants is a good example. But Kefir is probably the “big daddy” of all cultured dairy products, and maybe even all lacto-fermented foods. Kefir is the only cultured dairy product that produces grains. 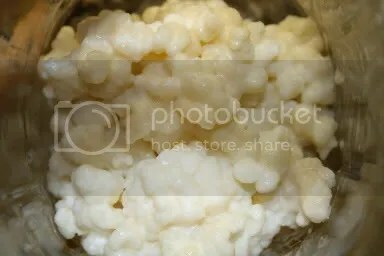 Kefir grains are little gelatinous, creamy colored globs. See how it is thicker? This is kefir. Put the kefir in a jar and put it in the fridge. Take the grains that you strained out, put them in a clean jar and repeat the whole process. The whole process of straining the grains and starting a new batch takes about 5 minutes. If you do this regularly, your grains will grow very healthy and will multiply quickly. How economical! You can use kefir in place of buttermilk or yogurt. When first starting to eat kefir, go easy on it. Start with small amounts and work your way up or you may get a stomach ache. Some people enjoy drinking kefir straight. It is a bit tart for me. My family loves to make kefir smoothies. Pour one cup of kefir into the blender, add one frozen banana and a cup of any other fruit or fruit combo that you like. We love blueberries, or cherries, or another whole banana. Blend that up well and then add raw honey to taste. If I am just using cherries I also like to add a teaspoon or so of vanilla and the result is like a cherry vanilla shake. Also, for added nutrition, I like to melt a tablespoon of good quality coconut oil and add that. It gives the smoothie a tropical flair in addition to giving my body more digestive and thyroid support. My whole family loves kefir smoothies for breakfast or lunch. It truly is best to prepare these foods yourself at home. But as more and more people are seeking out true nutrition, entrepreneurs out there are making them commercially available. Many, if not most, commercial food products are not good for your health but there are a few good companies and products out there. This is helpful because there are some things I just have not had success making for myself and one of those things is Kombucha. It is an extremely healthful and delicious lacto-fermented beverage (google it for more information) and I was thankful to discover a reputable brand available at Whole Foods. It is G.T.’s Kombucha and you can find it in the refrigerated section with other bottled drinks. Another brand of commercially available lacto-fermented food is “Bubbies.” They make pickles and sauerkraut; both are good. Beware of the commercially produced kefir and read the labels very carefully. Well, I realize that this is head-twisting. Intentionally leaving your food out on the counter is just not what we were raised to believe. There is a difference between letting your food spoil and carefully controlling the environment to encourage healthy bacteria to grow. I also realize that some of this sounds disgusting, especially the kefir with its gelatinous grains. Not only that, but time is an issue. Our modern lifestyles are busy. Yes, I totally understand all that. I just wanted to be sure and give you a choice other than “up your nose with a rubber hose.” Isn’t your family worth the trouble? Remember, be good to your gut and it will be good to you! So, it is really ok to leave this stuff out on the counter??? I have been a maniac my whole adult life about making sure my dairy products have been refrigerated. This will take some getting used to! And a question: What other foods can be lacto-fermented? We don't eat a lot of salsa (although yours looked yummy!) and I am not a big yogurt lover (but maybe the homemade stuff is better). I guess I'm just not sure how to incorporate these foods into our diet. This is awesome! I think I'm going to try it Amy. I just never really knew how to do it. I have kefir culturing and salsa fermenting right now! Can't wait to put some salsa on my (free-range, soy-free, organic) scrambled eggs for breakfast! My kids love those Bubbies dill pickles, mmmm! So when you say let it sit our in a warm place-what do you mean? We keep out home about 77 degrees and its about 90 outside. I'm new to all this natural stuff but I want to give it a try and my family loves salsa. ps-found you on the Sonlight boards! What type of peppers would be good for a mild salsa? I have my whey and we are enjoying the fresh cream cheese. Tomorrow is salsa day. I agree with all you said, except that I've always heard that you really shouldn't ever let your kefir grains touch metal. There is at least a theoretical chance that elements of aluminum or other metals could become bound within the grains and then become dangeroulsy intensified during the "multiplication" phase. 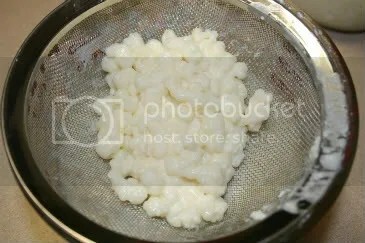 I have always heard to use only wood, glass, or plastic when straining your kefir.